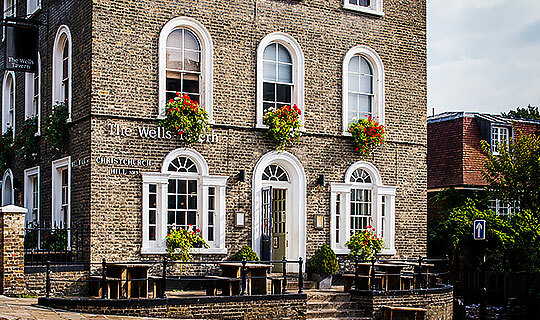 The Wells is a restaurant/venue based in Hampstead. Our registered address is: 30 Well Walk, Hampstead, NW3 1BX. We will use this information to assess your application. We may also keep it in our records for future reference. Please get in contact if you would no longer like us to hold your records at info@thewellshampstead.co.uk. Opting Out: You can set your browser to not accept cookies, but this may limit your ability to use the website. In the event that any of your data is to be transferred in such a manner, you will (NOT) be contacted in advance and informed of the changes. (When contacted you will be given the choice to have your data deleted or withheld from the new owner or controller.